Getting changes made in enterprise environments is hard, even when there are clear financial impacts of not making the changes. Anyone who hasn’t migrated to HTTPS by this point, is aware of the need; it hasn’t happened yet because of insurmountable blockers like mixed-content warnings in hard-to-update back-end systems. If this sounds like you, read on because the architecture of the ODN, deploying as a CDN, or between your CDN and origin, means that it’s agnostic to whatever server-side technologies you are using, and whatever CMS you have in place, so no matter what limitations your tech stack is imposing, the ODN can help get past these kinds of blockers and allow you to migrate quickly to HTTPS if you haven’t already done so. Get in touch if you want to learn more or see a demo of the ODN. With the rollout of Chrome 68 highlighting all HTTP sites as not secure, there has been widespread press about some sites getting “flagged” (here is the BBC highlighting the Daily Mail in their headline and calling out half a dozen retailers by name). One of the most common blockers to an HTTPS migration in enterprise environments is fixing mixed-content warnings where your newly-HTTPS pages rely on assets or scripts that are still loaded over HTTP. Even once you have your images (for example) also moved over to a secure hosting environment, you still need to update all the references to those images to use their HTTPS URLs. By being able to do this site-wide, across all pages sharing a particular template, or on specific pages, we get the right blend of power and efficiency that enables a large volume of mixed-content warnings to be resolved in a short period of time. There’s a variety of meta information that might need to be updated during the migration to HTTPS, but probably the most important is the canonical and hreflang information. The ODN can inject this information into pages where it’s missing (including into the headers for PDFs, for example), and update existing links to the new scheme. Since canonical and hreflang links are poorly-handled by many CMSs, the power of being able to fix this “outside the system” is powerful and can be set up as a final check to ensure correct canonical links. A critical part of the deployment of a migration to HTTPS is the 1-1 page-level redirects from HTTP pages to HTTPS pages. It’s common for this to be hard to manage, because you may well want to prevent your origin server from even responding to port 80 (HTTP) requests in the new secure world, which means your server can’t handle the redirects needed. We can serve them for you, and make sure that every request hitting your origin is port 443 (HTTPS). we can add logic to avoid chained redirects which is often difficult with blanket rules. 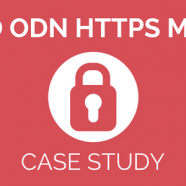 It can be difficult in many hosting environments to achieve this level of granularity, control, and agility with changes to headers, and the ODN can help with controlling them at the page, template, or domain level. Want to see it first-hand? The architecture of the ODN, deploying as a CDN, or between your CDN and origin, means that it’s agnostic to whatever server-side technologies you are using, and whatever CMS you have in place, so no matter what limitations your tech stack is imposing, the ODN can help fix up these kinds of blockers. If you are in an environment where you are blocked from getting important things done by a lack of agility for on-page and server configuration changes, we might be able to help. Drop us a line if you would like to see our ODN platform in action. In this article, I’m going to show you how you can perform a complete SEO audit in 2018. DOWNLOAD the free SEO audit checklist for 2018. The time investment for any audit is dependent on the size of your website. Follow these 9 steps and you will leave no stone left unturned. Remember, a successful SEO campaign is the product of hundreds of positive ranking factors. That is why it is critical that you examine every detail of your campaign. You don’t have to be 100% perfect, but that should be the goal. It is nothing more than a marketing channel to grow your business. You need to refine them if they are not. To measure the performance of your keywords, I use Pro Rank Tracker. First, to see whether a keyword is too competitive. Second, to see what types of content is performing well for the competitors. Third, to scrape the competitor’s link profile for possible link opportunities. The first thing I immediately do is take the target page and run it through Copyscape. 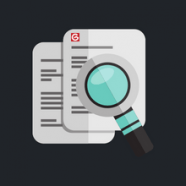 Make sure you download the SEO audit checklist so the process is streamlined. If one of your online marketing goals is to convert leads (which it should be), then your website has to have high converting landing page. Landing pages are the pages that your calls-to-action should link to. 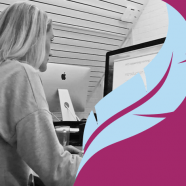 They are the pages that contain the forms your leads fill out in return for whatever you’ve offered, whether it’s downloadable content, a product discount or a monthly email newsletter, to name a few options. High converting landing page should be succinct, and they should remind leads what they are doing and help drive them to action. You can also read our ultimate guide on how to create high converting landing pages. The idea of Unbounce is to help prevent visitors from leaving your landing pages without converting. It’s a tool that lets you build an effective landing page. The name refers to the “bounce rate”, which is the term used to measure how many visitors leave your page without performing additional actions within a short period of being on it. Unbounce is an extremely user-friendly tool, which is why we highly recommend its use. You can choose from many different templates and then customize them with a drag-and-drop function in which elements, such as images, forms, and text boxes, can simply be chosen from a side menu and dragged onto a section of your landing page. Once dragged into place, you can edit them however you want. In addition to helping to ensure that your landing page has all of the necessary elements, it’s also responsive, which means it will have no trouble being viewed on a mobile device. Last but not least, Unbounce even provides A/B testing, so that you can determine which elements on your landing pages are the most effective at helping drive conversions. Because of how many features Unbounce offers, it will cost you $49 a month for the most basic plan. Instapage is another landing page building tool like Unbounce. It also offers users a drag-and-drop system along with the ability to edit individual elements. You can test your landing page creations using their A/B testing feature. Instapage is a tool that’s particularly useful for those who don’t have a lot of technical know-how. It’s about as user-friendly as it gets due to its simplicity. Instapage makes it easy to publish your landing pages directly to your site. They even have a WordPress plugin that lets you sync your landing pages to your site in just a couple of clicks. There’s a limited version of the tool available for free. For more options, consider their basic option, which is only $29 a month. LeadPages is another landing page creator tool, and it’s probably the best known of all of them. While the basic tool is a basic landing page creator, there are several higher tier plans available that provide users with more features, including A/B testing and Leadboxes. One of the things that makes LeadPages unique, even when it comes to their basic landing page creator, is that they have tons of templates to choose from. You can sort them by landing page conversion rate, thereby giving you a good idea of what types of templates are the most effective right off the bat. These templates will cost extra on top of the service though – between roughly $10 and $15 each. The feature that makes LeadPages more unique than other landing page tools is the LeadBox feature, which allows you to create and configure pop-up forms to display in a non-obtrusive way on your site when visitors click certain links. Launchrock isn’t quite a landing page creation tool. The tool helps you create what’s basically a “coming soon” page. If your setting up a site for a brand new business, such as a startup, are advertising a one-time event or your business wants to gauge interest in certain products or services, then Launchrock can be a very useful tool. It’s user-friendly as well. Launchrock lets you choose from a variety of themes and then gives you the opportunity to edit your message however you want. A free version even provides advanced user analytics and reporting, while the more advanced version, which also provides promotion free and custom HTML and CSS features, is only $5 a month. One of the elements of an effective landing page is whether the message is clear. Your landing page should convey what your message is and why visitors should convert immediately. The inability for visitors to figure this out within a few seconds on your landing page can result in a lost conversion. This is because people generally don’t want to have to search for what they’re looking for or think about what’s on your page too much. The 5 Second Test tool allows you to figure out whether your offer is apparent to your visitors within five seconds or not. By implementing the tool, random registered users will receive a message asking them to look at your page for five seconds and to remember as much as they can about what they see. They will then be prompted with several questions following that five-second page. If they are unable to answer those questions correctly, then you have a problem with your landing page layout or content. Basically, the 5 Second Test tool is a useful feature that allows you to get feedback from your users about your landing pages. The tool is available for free if you answer questions about other landing pages or you can purchase tests for $1 each. While the 5 Second Test provides useful feedback, the User Testing tool provides much more in-depth feedback. The tool will actually record audio of the interaction that users have with your landing page. They will be shown your landing pages and will be asked to navigate through it and possible through parts of your website. They will record their thoughts out loud as they do this. This can result in valuable feedback, especially if users don’t understand what they’re supposed to do, where they’re supposed to go or why they are even on your landing page to begin with. Because of its in-depth nature, you can even target who reviews your landing pages by selecting their age range, income range, gender, country and web expertise. The User Testing tool is a bit expensive at $49 a video for the first ten videos, which means it’s a more realistic option if you’re expecting to make a substantial amount of money from your landing page conversions. There is a free option called “Peek”. Peek will allow users to review your site, but caps the videos at five minutes and you won’t be able to target the type of user that provides the review. Olark is a chat widget that you can install on your landing pages to help guide visitors. It’s unobtrusive and will only show up at the bottom of your landing page if a visitor chooses to expand the window. It can be very useful for determining how successful your landing page designs is since visitors will be able to ask questions if they are confused. If you find that visitors keep asking what the offer is or how they are supposed to sign up, then there’s a good chance that your landing page is weak and needs to be redesigned. What’s nice about Olark is that you can set it up so that a team of individuals can help your visitors using Olark in real time instead of limiting it to just a single support provider. You can also toggle it on and off, which is helpful in case you can only provide support at certain times. Testing your landing pages is an important way to find out what elements work and what elements don’t work. While some of the landing page tools do offer A/B testing features, not everybody uses these tools to create their landing pages. If you create your landing pages from the ground up, then you should use the Optimizely tool. Optimizely makes it easy to test your landing pages. All you need to do is enter your landing page URL. The tool will then load your page as a new variation. You can click on elements to make changes using a variety of editing options from the menu, and you can add more variations to your A/B testing. Once you’re done with your variations, you’ll be provided with a code to paste into your landing page’s header. Optimizely will then ensure that your landing page traffic will be split evenly between the different variations you’ve created in order to properly compare their performance. Crazy Egg is a tool that allows you to see how your visitors are using your landing pages. You’ll be provided with a heat map that’s generated by data collected based on where visitors are focusing most of their time on your landing pages (as well as other pages on your site). This can be helpful in a few different ways. For example, if they’re spending more time hovering over content that can’t be seen unless you scroll down the page than on other parts of the landing page, then you might want to consider bumping it up to the top of the page. If they are skipping over a part of the landing page, then maybe you could do without it. Installing Crazy Egg is easy. Just create an account via their site and you’ll be given a personal code that you can copy and paste into your site. Once you confirm that it’s been installed, your data will be tracked and your heat maps will be generated. You could also use the Crazy Egg WordPress plugin in order to install a tracking script if that’s easier. The Visual Website Optimizer tool is similar to Optimizely. They are both effective A/B testing tools. Like Optimizely, you’ll be able to create numerous variations so that you can test the performance of different elements. You’ll be able to track a number of different things, from page visits and engagement to clicks on link and form submits. For landing pages, form submits is the main metric you’ll want to compare. Because your landing pages are so important when it comes to converting leads, it’s vital that you put some effort into making sure that they are effective. If your landing page conversion rates are low, then be sure to turn to some of these landing page tools. Most of these tools provide stripped down versions that are free or free trials so that you can figure out which tools will benefit your landing pages most. 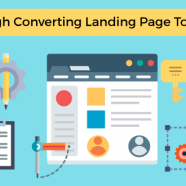 Taking advantage of these tools will allow you to greatly improve your landing pages, thereby increasing the potential of boosting your conversion rate. Do you have any tips to create a high converting landing page? If you’ve used some of these tools before, be sure to share your experience with other readers by commenting below! Learn all you can about their current diet, health, and fitness situations.Come up with the best approach and the best tactics for each situation.Test your way into it and optimize, as you learn what works and what doesn’t. Which ones have the biggest need or opportunities?Which ones have resources that they’re willing to dedicate?Which ones are company priorities? Webmaster tools set up. I like to have at least Google and Bing, so I can compare across search engines to help determine if a spike or a drop is happening in both search engines, which might indicate that the cause is from something happening with the site, or in just one search engine, which might indicate that the cause is algo-related.Organic search engine traffic. At the very least, you should be able to see organic search traffic by page type (ex: service pages versus product pages). At best, you can also filter by things like URL structure, country, date, referrers/source and be able to run regex queries for granularity.User testing & focus groups. Optional, but useful if it’s available & can help prioritization. Has the site gathered any insights from users that could be helpful in deciding on and prioritizing SEO tactics? For example, focus groups on one site showed us that people were more likely to convert if they could see a certain type of content that wouldn’t have necessarily been a priority for SEO otherwise. If they’re more likely to convert, they’re less likely to bounce back to search results, so adding that previously lower-priority content could have double advantages for the site: higher conversions and lower bounce rate back to SERPs.Don’t: Make empty promises. We will get you to page 1. No matter how successful you may have been in the past, every site, competitive landscape, and team behind the site is a different challenge. A promise of #1 rankings may be a selling point to get clients, but can you live up to it? What will happen to your reputation of not? This industry is small enough that word gets around when people are not doing right by their clients.Rehashing vague stats. I recently watched a well-known agency tell a room full of SEOs: “The search result will provide in-line answers for 47% of your customer queries”. Obviously this isn’t going to be true for every SEO in the room, since different types of queries have different SERPS, and the SERP UI constantly changes, but how many of the people in that room went back to their companies and their clients and told them that? What happens to those SEOs if that doesn’t prove true?We will increase traffic by n%. Remember, hopeful promises can lead to being called snake oil salesmen. If you can avoid performance promises, especially in the proposal process, by all means please do. Set well-informed goals rather than high-risk promises, and be conservative when you can. It always looks better to over-perform than to not reach a goal.You will definitely see improvement. Honestly, I wouldn’t even promise this unless you would *for real* bet your life on it. You may see plenty of opportunities for optimization but you can’t be sure they’ll implement anything, they’ll implement things correctly, implementations will not get overwritten, competitors won’t step it up or new ones rise, or that the optimization opportunities you see will even work on this site.Don’t: Use the same proposal for every situation at hand. “Consultant makes no warranty, express, implied or statutory, with respect to the services provided hereunder, including without limitation any implied warranty of reliability, usefulness, merchantability, fitness for a particular purpose, noninfringement, or those arising from the course of performance, dealing, usage or trade. By signing this agreement, you acknowledge that Consultant neither owns nor governs the actions of any search engine or the Customer’s full implementations of recommendations provided by Consultant. You also acknowledge that due to non-responsibility over full implementations, fluctuations in the relative competitiveness of some search terms, recurring changes in search engine algorithms and other competitive factors, it is impossible to guarantee number one rankings or consistent top ten rankings, or any other specific search engines rankings, traffic or performance.”Go get ’em! A site:search in Google gave me the missing articles that Google considered to be about keyword research. I simply searched for site:yoast.com “keyword research” and Google gave me all the posts and pages on the site that mentioned the topic. The reason I started auditing the content for this particular group of keywords simple: I wanted to improve our rankings around the cluster of keywords around keyword research. So I needed to analyze which of these pages were ranking, and which weren’t. This content maintenance turned out to be badly needed. The post Content maintenance for SEO: research, merge & redirect appeared first on Yoast.